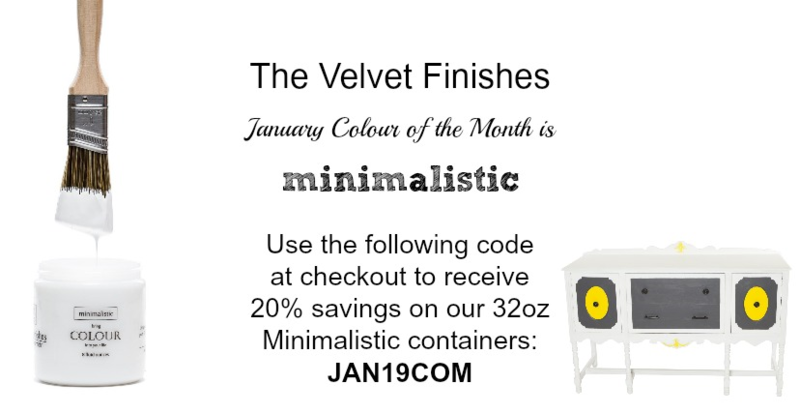 Bianca from Lotus Theory Designs is joining us today with an informative painting tutorial on how to paint chippy white furniture using Velvet Finishes Minimalistic – our January colour of the month! Enjoy! To this gorgeous, chippy-licious beauty! 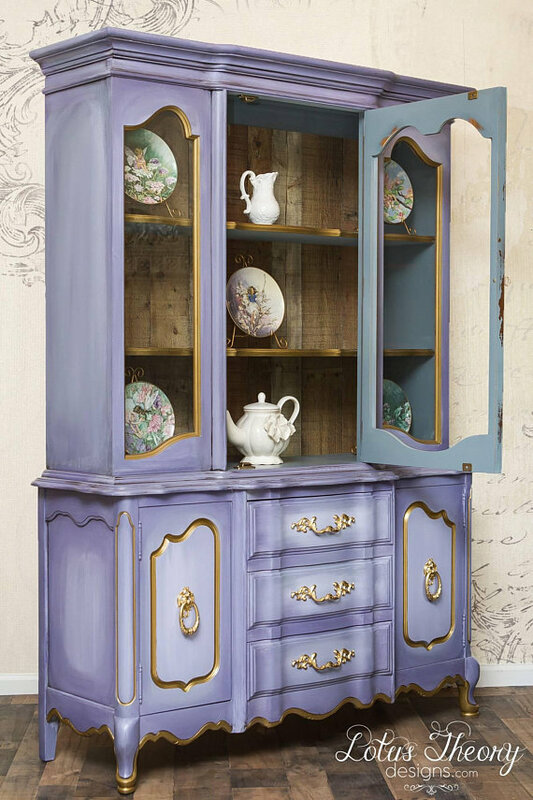 Velvet Finishes Purple China Cabinet, read the post here. How to Blend and Layer Velvet Finishes Paint, read the post here. 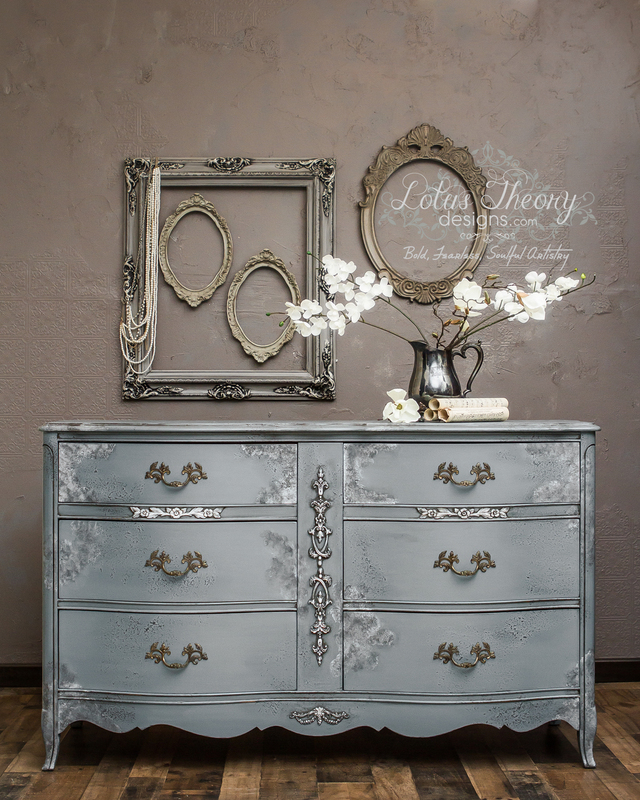 How to Update Furniture with Paint, read the post here. 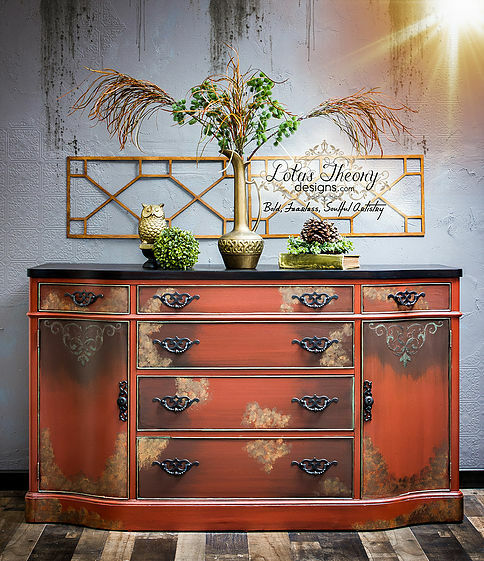 How to Accent Furniture with Metallic Paint, read the post here. Shout out to Bianca for sharing her amazing talent with us! 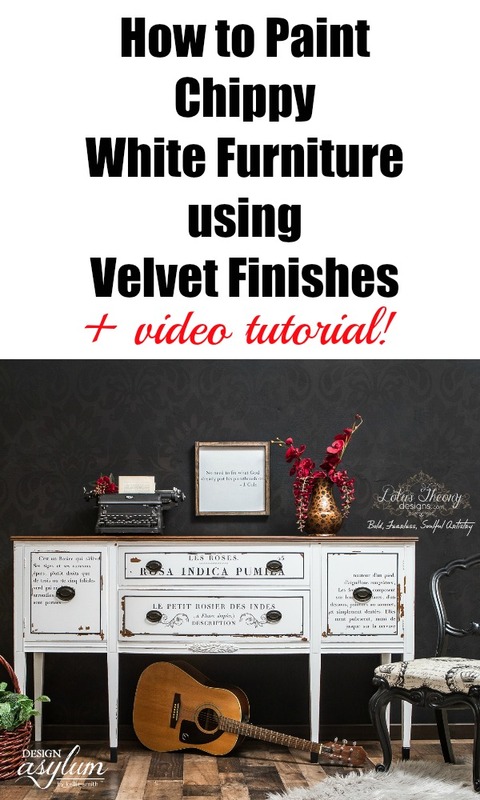 Every piece of furniture that she coats with Velvet Finishes is stunning! Until next time friends…oh and Happy New Year! Huge shout out to Bianca for guest blogging with us today. 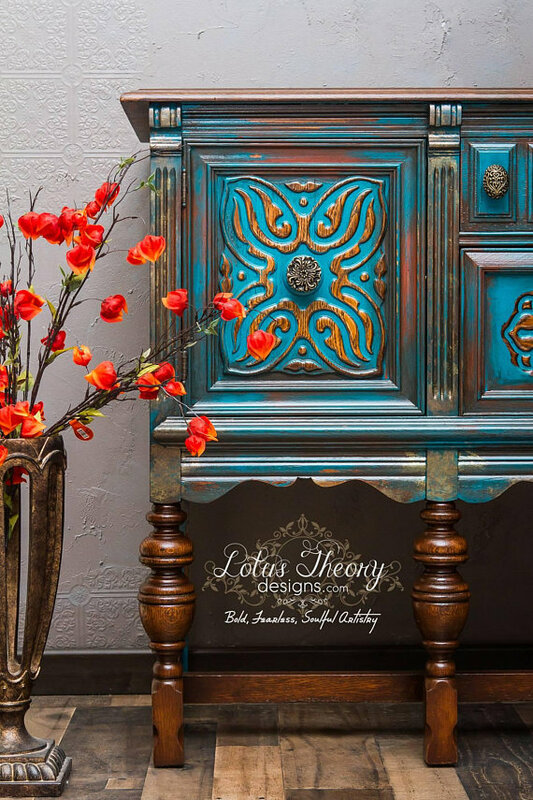 You can find Lotus Theory Designs here:Blog, Shop, Facebook, Instagram, Pinterest Be on the lookout for more furniture flips and tips using Velvet Finishes from her soon!! Interior Designer. Color Aficionado. Globe-Trotter. Creator of Velvet Finishes paint. Textile Designer at Boho Luxe Home. All-around whack-job. Visit Kellie Smith Design Studio's profile on Pinterest.